Battery was not in stock that I ordered on line, got a phone call with a alternative one but was to high, they promised that the one I ordered will be with me in a couple of days which it did so very pleased and a great price. Oh and the egg boxes have been put to use too. The help I recieved was first class. I spend most of my time at my holiday home in france and it was to this address I needed the leisure batteries sent I ordered at 13;45 on Monday the batteries ARRIVED 11;30 on Wenesday COULD NOT ASK FOR BETTER BRILLIANT !!!! Excellant service, would use again. Helpful advice given to ensure it was the correct product for the requirements. Great service as usual. Next day delivery, great price. Product arrived as described, well packed and the very next day. 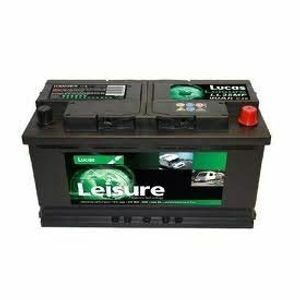 Ordered this battery because of restricted space under seat in motorhome, originally asked for an Enduroline 85 but this was taller than on website. Tayna were very efficient at allowing me to change the battery. Can't fault your service. Helpful on telephone. Amazed - We live in Surrey and order arrived the following day. Will certainly recommend you to fellow caravan friends. PS saw your advertisement in the Caravan Club magazine.